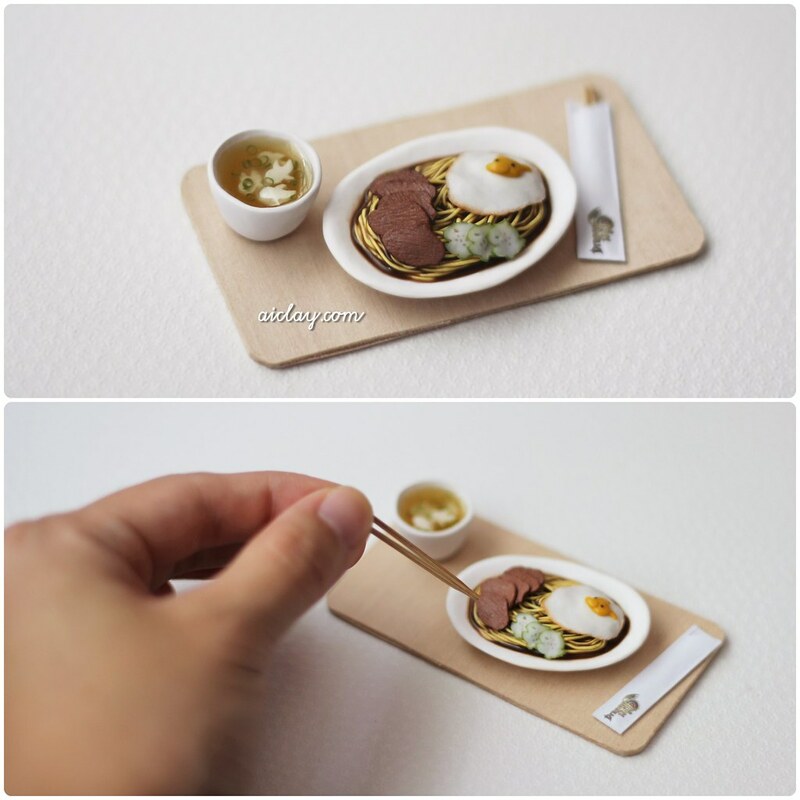 AiClay - a Haven of Miniature Food: Roast meat noodles - with a Dragon Nest twist. Roast meat noodles - with a Dragon Nest twist. This was made as part of the collaboration between Dragon Nest and AiClay. It was the cucumber slices. It took me pretty long to conceptualise and imagine cucumbers in the shape of the game character, guess I haven't seen much of cucumber slices cut in cute figures in real life. Everything is handmade by me, and yes even the little chopsticks! Chocolate bears and monster pancake. The smallest burger in the world! The story behind these hands.